Following the success of our first ever Mustang Maddy Immersion Program, we are pleased to announce another opportunity to attend. The Ridgway Immersion Program will be held in June of 2019. In this program, students will shadow Maddy as she trains for 6 hours each day. 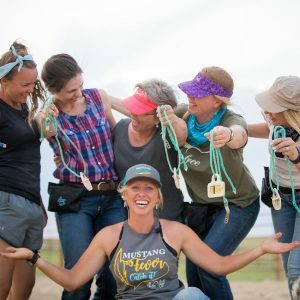 Students will totally immerse themselves in her training methods for 5 days in a row with various challenging equines. These will be real life training scenarios that Maddy will be working through. 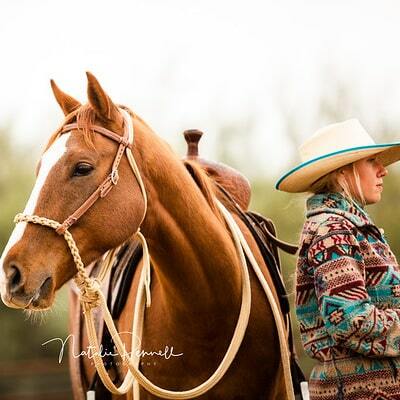 True to her nature, Maddy will be exploring what’s possible and experimenting with revolutionary techniques as she continues to perfect her methods and find ways we can better honor the horse. Tools – Discover innovative tools to motivate and communicate with any equine. Techniques – Understand how to implement training methods that seek to empower the horse. 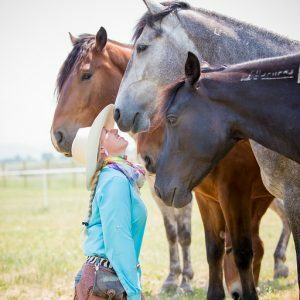 Troubleshooting – Learn how to problem solve unwanted behavior and set the horse up for success in every scenario. You want to see unedited, raw training in real time. You are looking for innovative techniques to add to your training toolbox that are scientifically based. 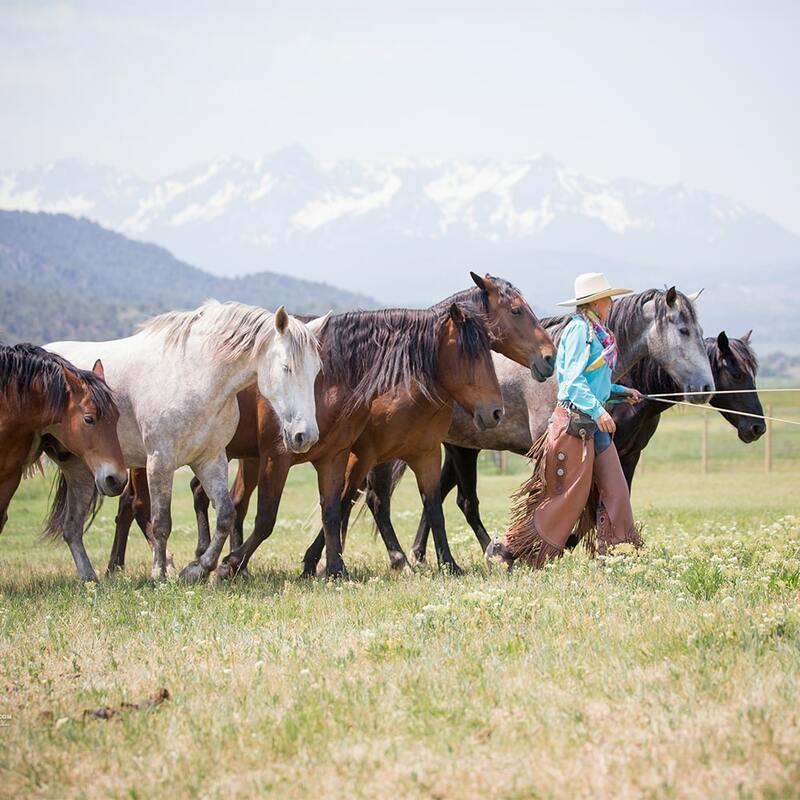 You take an interest in working with horses at liberty and value the horse’s freedom and choice in training. You are interested in making training or teaching a career. It doesn’t get any more immersive than this. See training like never before with this exciting program. Click the corresponding tab to learn more about each of these exciting projects. Meet Finn, a 5-year-old off the track thoroughbred Maddy is training for the 2019 Retired Racehorse Project! Finn is coming along well in-hand and at liberty. During the immersion program, Maddy will be continuing to progress Finn both in-hand, at liberty, and under saddle with an emphasis on developing and refining his bridleless riding skills. It doesn’t get much cuter than Arthur! 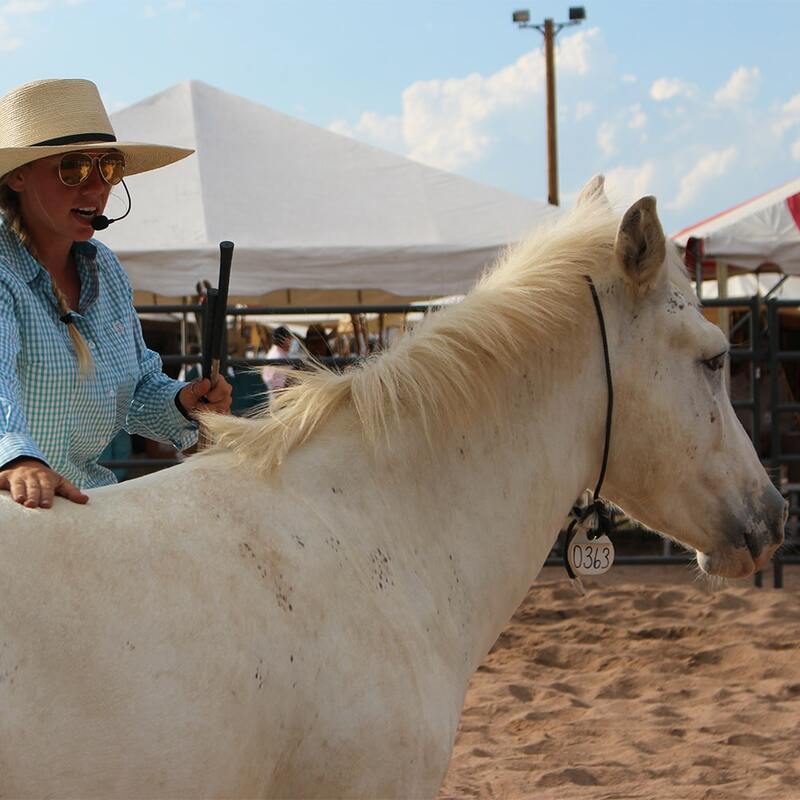 Arthur is a BLM mule that Maddy is prepping to add to her team. During the immersion program, Maddy will be advancing his skills at liberty as well as putting first rides on Arthur! This will be a great opportunity for students to see her colt starting program in action. If you are looking for a thorough and proven colt starting or re-starting program that honors the horse’s free will, values 2-way communication, and places an emphasis on keeping the horse and human safe throughout the process, you won’t want to miss this! If you ask Maddy, she will tell you that the mustangs and the zebras have been her teachers. And by watching the zebras at work, you’ll find out why! 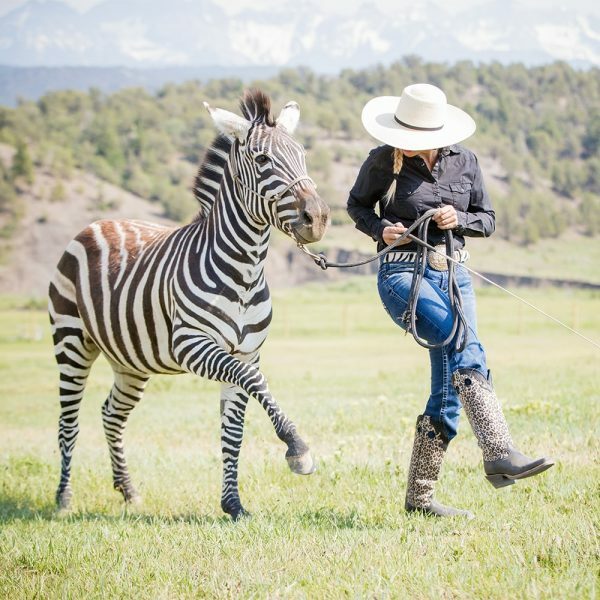 The zebras present a unique challenge and have inspired her emphasis on positive reinforcement training. 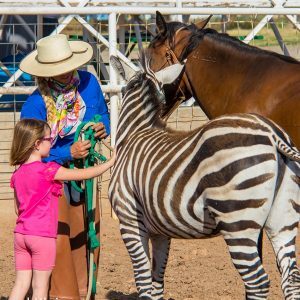 Observe Maddy work with her two zebras, Zena and Zeus, as she continues to advance their skills at liberty, teamwork, and desensitization. Watch fascinating herd dynamics as Maddy continues to advance her team of 6 previously wild mustangs. Through their observation, students will learn about the process of working multiple horses together, as well as choreographing advanced circling routines and other maneuvers at liberty. 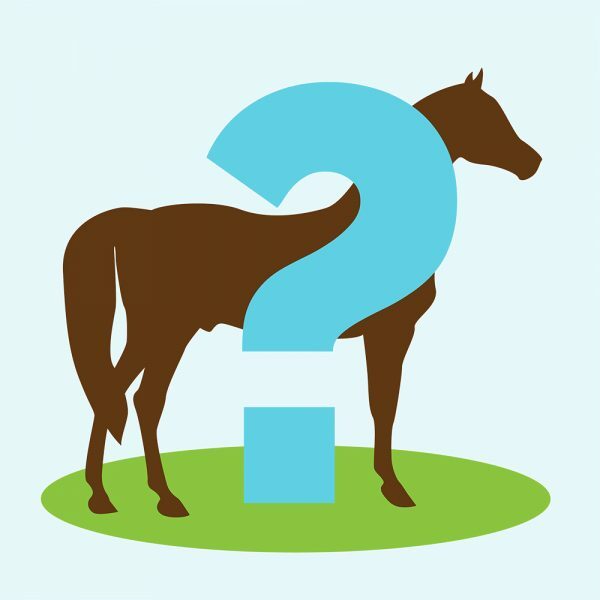 We are now taking applications for Maddy’s “Mystery Horse” Training project! To submit your horse, please enter by following the link below and filling out the form.